General Motors gave strong 2019 guidance Friday morning. The automaker also announced it would use its Cadillac brand to take on Tesla in the electric-vehicle market. Watch General Motors trade live. 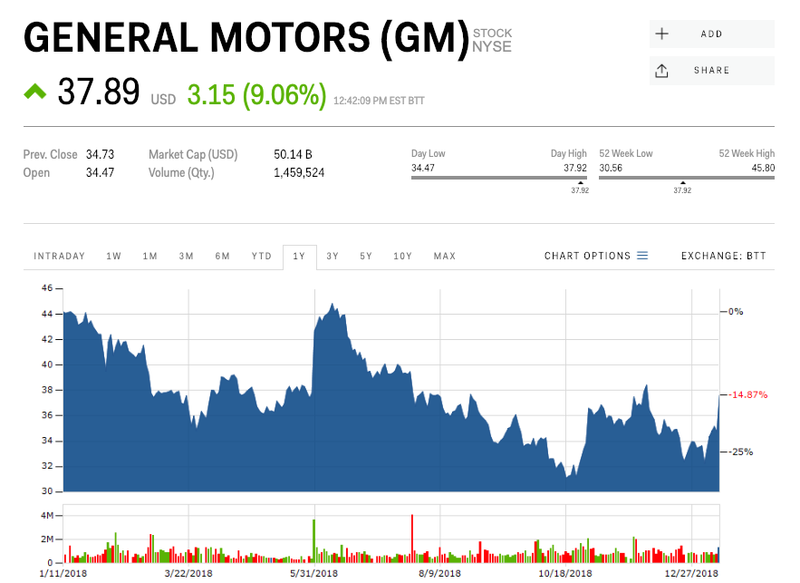 General Motors was rallying Friday, up more than 9%, after the company gave strong 2019 guidance and said it would use its Cadillac brand to take on Tesla. Friday’s gains have GM shares trading near $37.50, and at their best level since the beginning of December. A close above $38.45 would be the highest since late July. After four years of record or near record US sales of about 17 million vehicles, GM said Friday it expects 2019’s numbers to be in that range, and that it sees the Chinese market holding up with about 27 million sales. It estimates full-year earnings of between $6.50 and $7 per share — ahead of the $6 Wall Street consensus. The rest of the auto industry is entering a defensive position for the year. 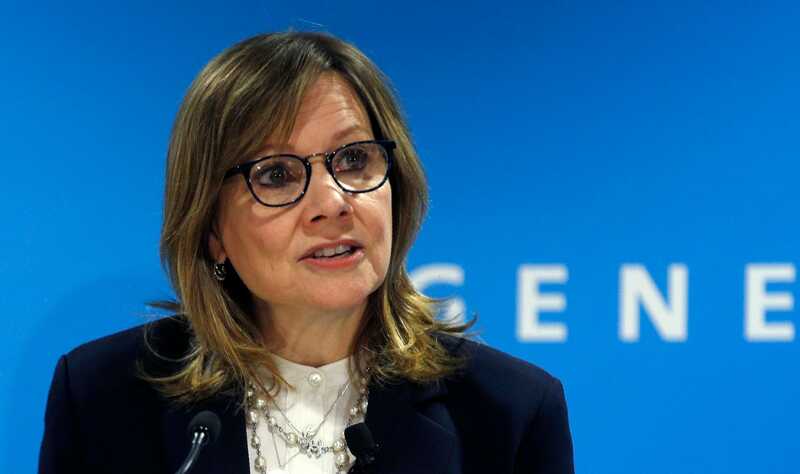 Alongside its bullish guidance, GM said it would use its Cadillac brand to compete with Tesla in the electric-vehcle market. In November, the automaker announced a restructruing plan which included shutting down seven plants globally in 2019, including three assembly plants in North America, two US transmission plants, and two additional, unnamed assembly plants outside the US. GM also said it would slash its salaried employee headcount by 15%, including a 25% cut in its white-collar staff.